Max Eastman: A Life, by Christoph Irmscher, Yale University Press, 2017, Hardcover, 448 Pages, $29. Indiana University English professor Christoph Irmscher’s new book, Max Eastman: A Life, crafts the biography of flamboyant 20th century writer, editor and longtime Vineyard fixture Max Eastman. At first glance it might seem like an odd follow-up to Irmscher’s excellent 2013 book Louis Agassiz: Creator of American Science, which told the life story of the Swiss-born Boston-based 19th century scientist now remembered mainly for his stubborn rejection of Darwinian evolution — if he’s remembered at all. But the two subjects are more alike than they seem: both were brilliant, both were difficult to love and yet much loved, and both have been largely and unjustly forgotten as the decades have gone by. Max Eastman hasn’t had a comprehensive biography since William O’Neill’s The Last Romantic 40 years ago, and as with Louis Agassiz, Irmscher’s book is not only definitive but electrically readable. He has sifted through the sprawling, unpublished archive of Eastman papers at Indiana’s Lilly Library and Eastman-related papers at Harvard, and he has of course consulted the many books Eastman himself wrote, including his beguiling 1964 memoir, Love and Revolution: My Journey Through an Epoch. 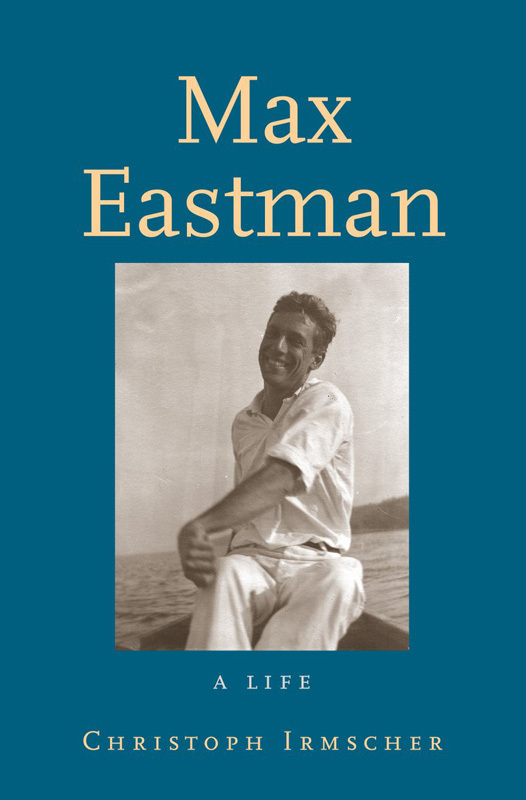 The result is not only the kind of sly, knowing book Eastman loved to read but also the kind of book he loved to write: tough without being cruel, encyclopedic without being showy, and most of all sympathetic without being maudlin. As Irmscher notes simply, Eastman knew everybody, and everybody knew him. Virtually the whole of the early 20th century’s literary establishment makes an appearance at one point or another in the pages of Max Eastman: A Life, and one of the book’s many strengths is its clear-eyed assessment of Eastman’s own place in that establishment — especially important, since all of his many books have lapsed out of print, and even the faintest echoes of his literary reputation have faded completely. Knowing his subject’s mercurial combination of vanity and flinty realism, Irmscher never makes the mistake of over-praising the job-lots Eastman sometimes turned out for money, but he’s likewise keenly appreciative of the books that show Eastman’s talent (for instance, Irmscher refers to Eastman’s 1925 book Leon Trotsky: The Portrait of a Youth as “a peculiar work, marked by a quiet and largely unrecognized genius”). None of it is enough to revive the subject, any more than Irmscher’s magnificent work on Agassiz could prop the titan back onto his pedestal. But for the length of a reading, Max Eastman: A Life brings readers inside a life lived full-tilt with passions and interests and doubts and bright Vineyard summers. If you had gone back to those days at the roaring start of the last century and asked Charlie Chaplin or Isadora Duncan or Max Perkins — or even a grudging Hemingway — who would among them would be getting a great biography in the 21st century, they would all have agreed: Max. And now he has one. Interesting review. I too went to Williams College, worked at Reader's Digest and have spent (and continue to spend) many a happy time in Martha's Vineyard, some of it overlooking Menemsha Pond. I resemble Eastman in no other way. By the way, it is Dewitt Wallace, not the other way around, though they did indeed call him "Wally." DeWitt "Wally" Wallace is indeed one of the most fascinating figures in the Eastman story. There are lots of letters to Wallace and by Wallace in Eastman's archive, but the most fascinating item is a record of a nightmare Eastman had in which, at a Reader's Digest Christmas party, DeWitt asked him to produce a snowman. Max goes ahead and makes one, only to be told that his services are no longer needed, whereupon he smashes his snowman in anger. He was always afraid that "Wally" would reject his articles (which he often did). At the same time, Eastman also felt that what we wrote for the Digest was ephemeral--like snow, quick to melt.